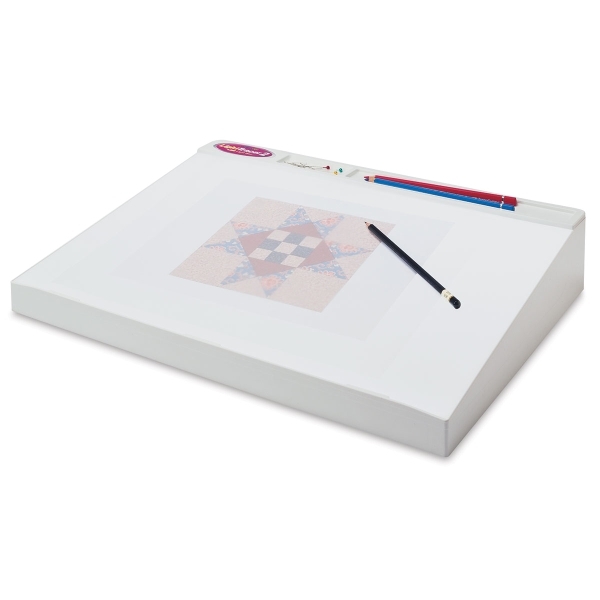 The Artograph LightTracer Light Box is an all-purpose art and craft light box for transferring designs and patterns. The translucent surface is conveniently slanted, and is illuminated by a long-life fluorescent bulb (included). ® Artograph is a registered trademark.® Lightracer is a registered trademark.